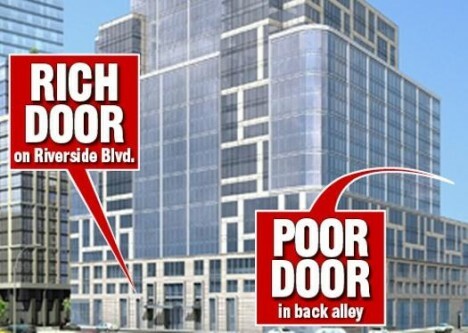 Mayor Bill de Blasio and the Department of Housing Preservation and Development has come under attack by critics for approving building plans in NYC that include separate entrances for affordable-housing tenants and luxury-condo owners. The debate raises other questions about the urban poor and the mixing of classes in the city, and there are reasonable arguments on both sides of the issue. 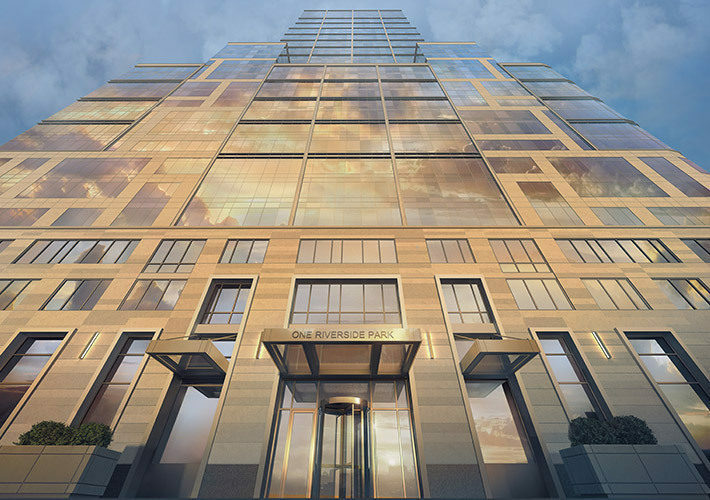 40 Riverside Boulevard, an Upper West Side project of the Extell Development Company, is the property at the heart of this particular controversy. Its 55 street-facing units for low-income residents have helped permit its developers to create many of the other 219 additional units to be sold at market rates and take advantage of associated tax breaks. The aggregate effect of the benefits? 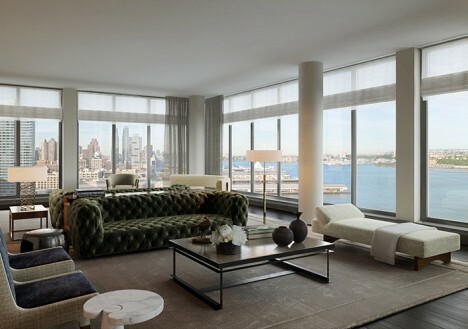 An estimated $100 million in added floor space value for this 33-story tower. 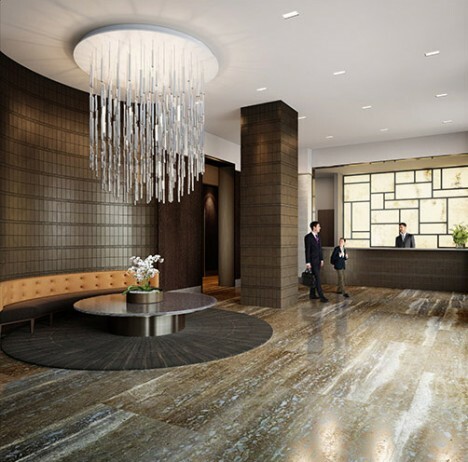 The now-approved plans call for a back-alley entryway for second-class residents and a more prominent front entrance for its full-priced buyers. Detractors say the separation of entryways defeats the intention of the program, effectively segregating low-income from regular housing. Arguments on the flip side suggest that the city should focus its efforts developing less-valuable land elsewhere for subsidized housing projects, and allow builders to go higher without having to add affordable housing (in order to meet existing high-end demand). The Inclusionary Housing Program to which Extell applied is meant to encourage integrated complexes and, in exchange, allow developers to build larger structures on coveted urban sites. At issue is the notion that this development may follow the letter but not the spirit of the system, which, in theory, should be arbitrated by the HPD, but in practice has become part of a larger public discourse. 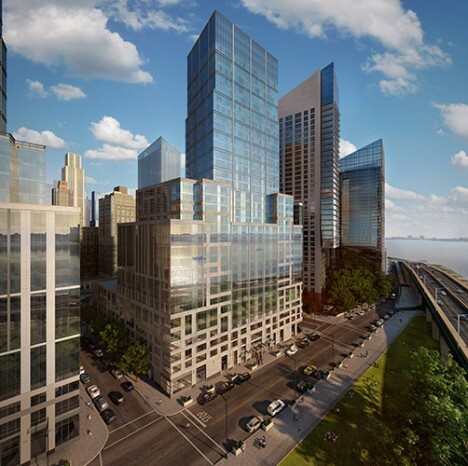 The heated and ongoing debate has caused Manhattan Borough President Gale Brewer to promise a rejection of any future plans that similarly separate out entrances. Whether that will truly help solve the island’s long-term affordable-neighborhoods issue, though, remains to be seen.